Tao follows what is nature and then unites with heaven as one. This is the core philosophy of Taoism. Through my own personal experience as a Taoist priest, I explain the Taoist philosophy of life in a very practical way. By looking at life from another way, I hope to provide you an understanding that life is a joyful journey. We are each the creator and entertainer of our own personal, joyful lives. Taoism spans over five thousand years of history but still, Western society has received few clear explanations and has only a limited understanding of practical Taoist philosophy. 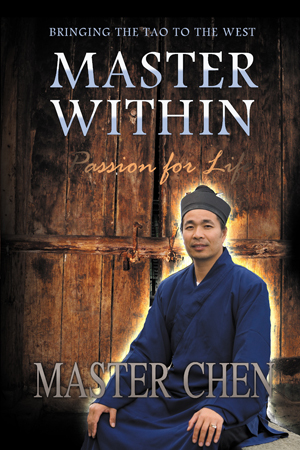 EDITOR’S NOTE: To carry forward the lessons he [Master Chen] has devoted a life to learning and to assist his readers in attaining their own mastery, he has combined events from his own life, his childhood, family, education and the tests that he faced, together with a tale of a young man called to higher purpose and power. By creating a character whose adventures help teach us all, Master Chen becomes the young boy who is called to greatness, overcomes all obstacles, and rises to a state of high mastery.